When the warriors of the Ra Gada came to the shores of Hammerfell, some of the fiercest cohorts marched far inland in search of domains to claim. 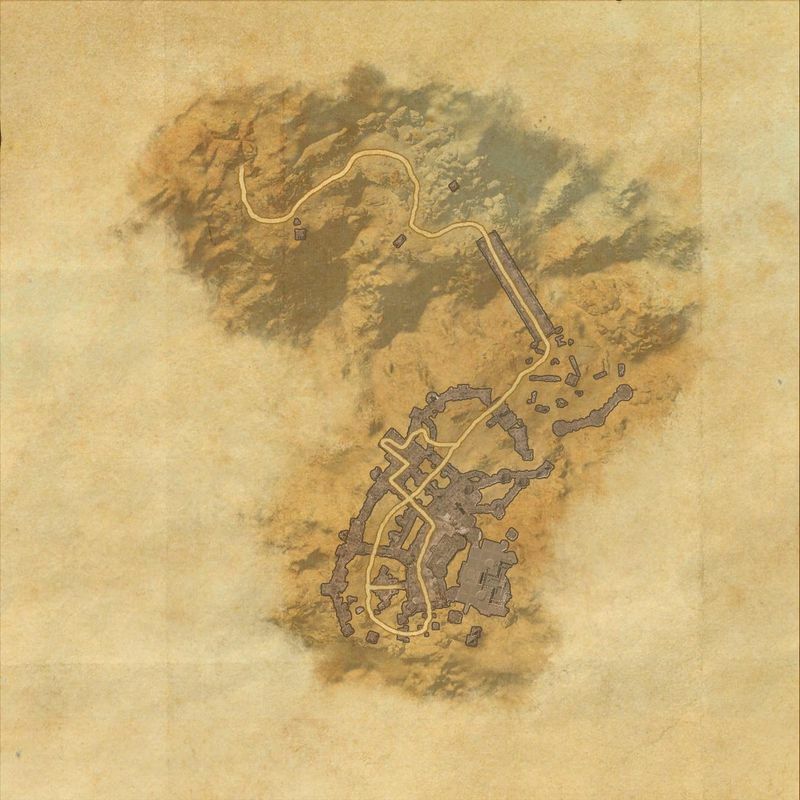 Hel Ra was one of the easternmost of these domains, but its gates were sealed long ago. 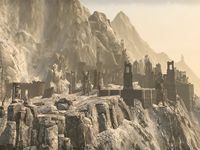 Hel Ra Citadel is an ancient Yokudan fortress in southwestern Craglorn. It has been taken over by The Warrior and his Anka-Ra armies, having been corrupted by The Serpent. Hel Ra Citadel Hard Mode can be triggered by entering the Veteran version of the trial and destroying the statues in the room before the Warrior's chamber. 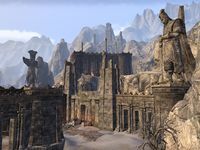 Completing a full run of veteran Hel Ra Citadel will reward 12 Undaunted Plunder worth 12000 gold total (2 from Ra Kotu, 2 from Yokeda Kai or Yokeda Rok'dun, and 8 from The Warrior). 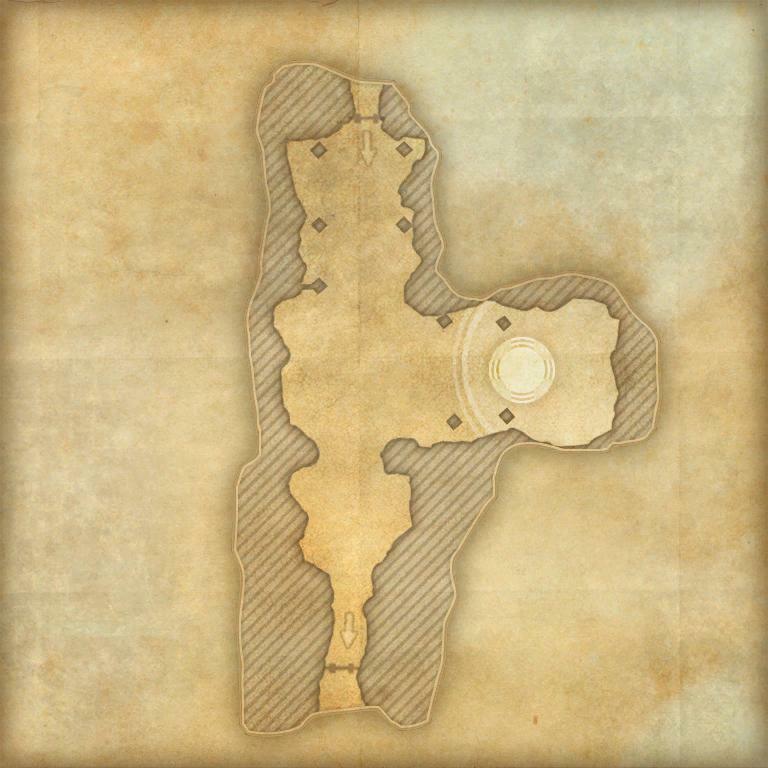 Hel Ra Citadel Objective: Assault the mountain stronghold of the Celestial Warrior. 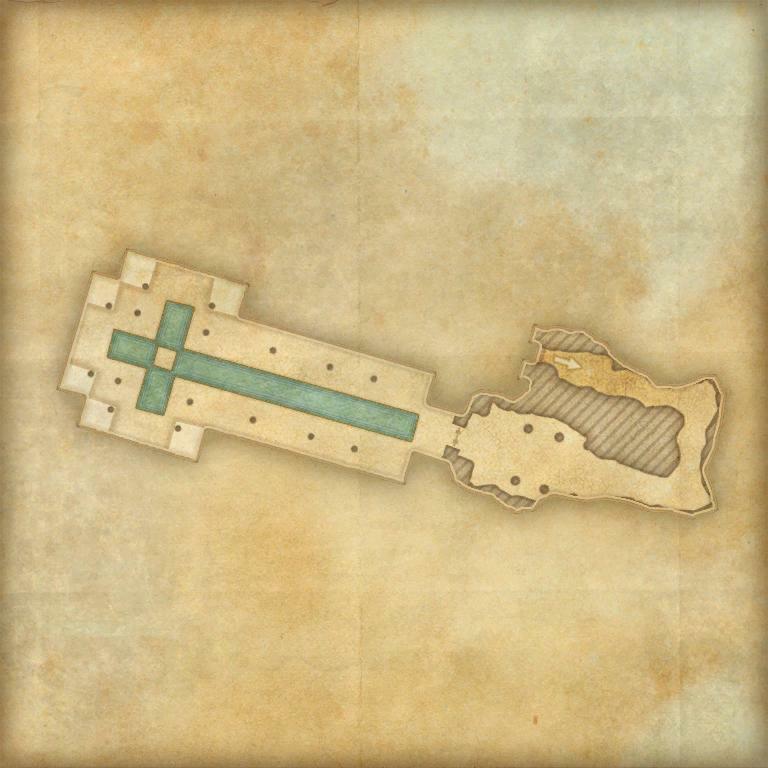 Assaulting the Citadel: Launch an attack on the Celestial Warrior's stronghold. A Breach Beyond the Crags : Seal the time breaches which have opened throughout Upper and Lower Craglorn. Hel Ra Citadel Difficult Mode 50 Defeat the Celestial Warrior after enraging him through the destruction of his statue army. Hel Ra Citadel: The War Horn 5 Sound the war horn at Hel Ra Citadel and defeat the ancient warriors who answer. 5 items: When you deal damage with a fully-charged Heavy Attack, you place a bomb on the enemy for 10 seconds. When another player hits the same enemy with a fully-charged Heavy Attack they detonate the bomb, dealing 87-7500 Magic Damage all enemies within 8 meters. This effect can occur once every 10 seconds. 5 items: When you deal damage with a Light or Heavy Attack against an enemy who has a Poison Damage ability on them, you have a 50% chance to deal an additional 39-3400 Poison Damage. This effect can occur once every 1 second. 5 items: When you deal melee damage, your Critical Strike rating is increased by 4-400 for 5 seconds, stacking up to 5 times. This trial scales to the Champion Points of the group leader, to a maximum of 160. Hel Ra Citadel originally scaled to 12 and had no Normal mode. This page was last modified on 30 March 2019, at 07:39.